GrassSaver Chews help prevent dog urine from killing grass by reducing the amount of nitrogen in their urine. 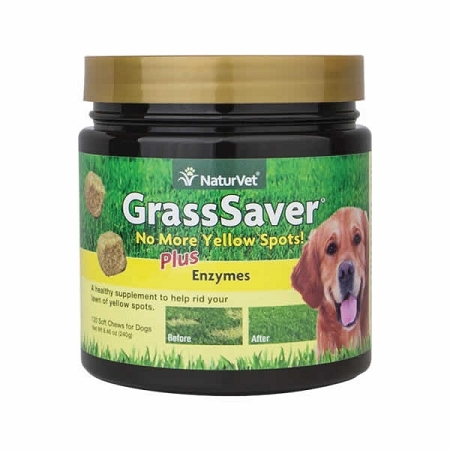 GrassSaver Chews by NaturVet are a healthy food supplement that helps your dog absorb more of the nutrients in their food and reduce the amount of nitrogen in their urine. Concentrated nitrogen in dog urine can kill grass. Neutralize your dogs urine and help prevent yellow and brown spots on your lawn! 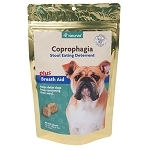 This product reduces yellow spots on lawn in 98% of the dogs who take it regularly. If it does not work for your dog, NaturVet will refund your money. Each bag contains 120 soft chews. GrassSaver is also available in tablets. Great product! No more yellow spots and the grass is growing back. Our lawn is undamaged and beautiful and our dog likes them. But I do have to stick them down poor Picnic's throat as she doesn't like them. Again, I do think other dogs less picky would love them. Your lab will. My frenchie doesn't. dl-Methionine is an essential amino acid that helps to acidify urine. Ingredients: Dried Potato Product, Brewer’s Dried Yeast, Glycerine, Lecithin, dl-Methionine, Canola Oil, Natural Flavoring, Yucca Schidigera Extract, Water, Thiamine Mononitrate, Biotin, Tapioca Starch, Vitamin B12 Supplement, Pyridoxine Hydrochloride, Fructooligosaccharide, Dried Aspergillus Oryzae Fermentation Product, Carica papaya, Trichoderma Longibrachiatum, Dried Aspergillus niger Fermentation Solubles, Dried Bacillus coagulans Fermentation Product, Sorbic Acid (a preservative), Mixed Tocopherols (a preservative), Rosemary Extract, and Vegetable Oil. Each jar contains 120 soft chews. This product is for use by dogs only. 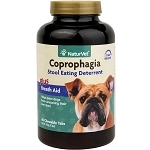 If your dog hasa metabolic disease (particularly liver or kidney dysfunction), consult with your veterinarian before using.